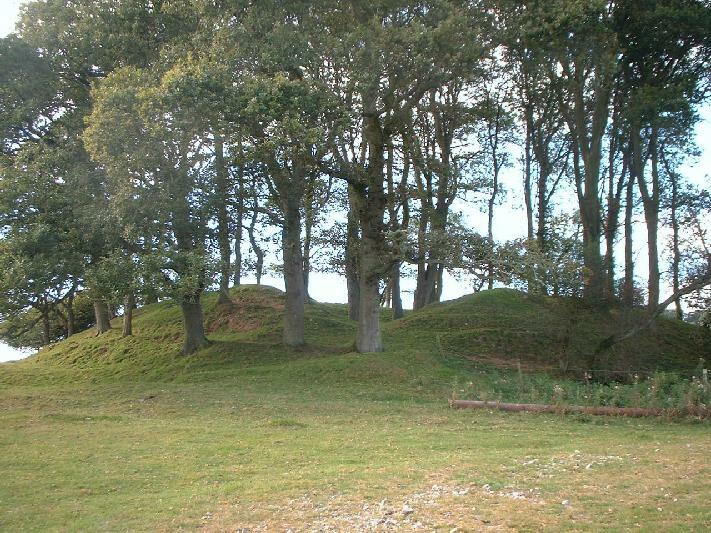 A medium-sized motte just west of the church with a quarry hole in the middle. 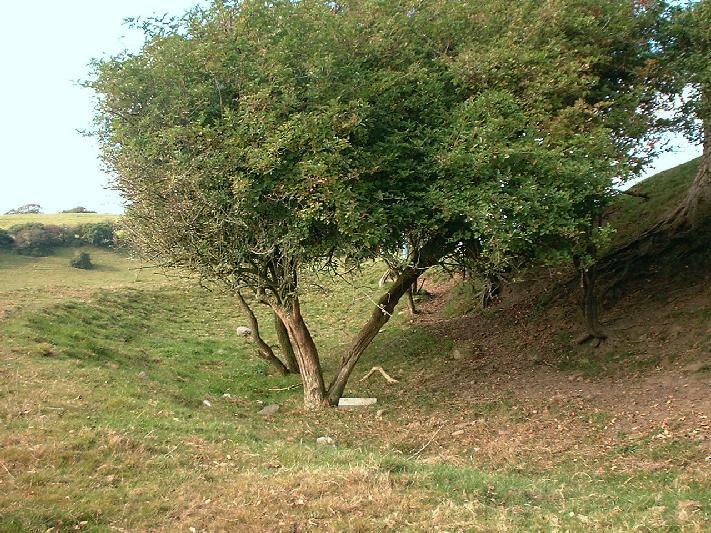 There is a ditch on the north and south sides, stopping abruptly at the west end, suggesting that the castle was unfinished. The masonry castle of Tal y Fan is 1km to the east.